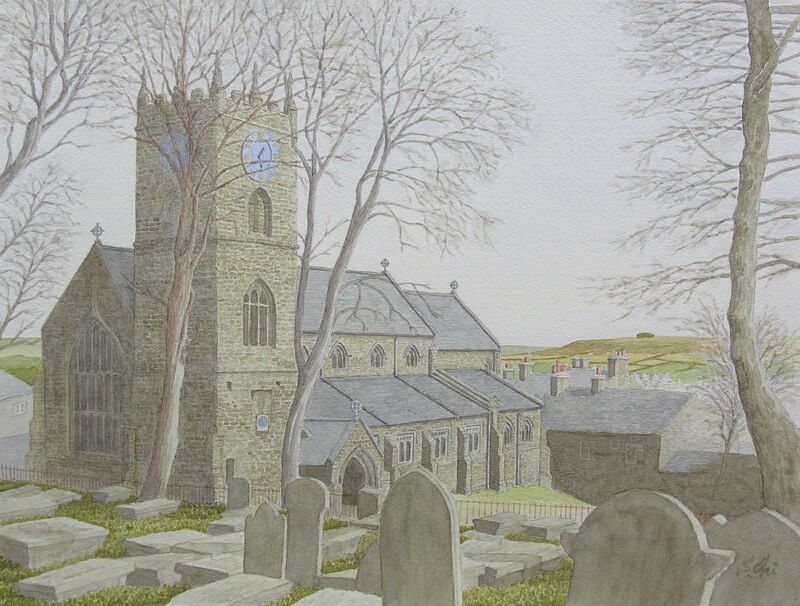 The Haworth Church has its origin in the 13th century. The tower now standing was built in 1755. other parts of the church were reconstructed in 1881. Emily described this church as "Gimmerton Chapel" in "Wuthering Heights". There is a graveyard between the church and the parsonage and many old gravestones are there. Walking in the yard, I remembered some parts of the novel. "I sought, and soon discovered, the three head-stone on the slope next the moor--the middle one grey, and half buried in heath--Edgar Linton's only hamonized by the turf, and moss creeping up its foot--Heathcliff's still bare.